I love vintage shopping at bookstore and thrift stores. There are a few online shops I love to peek in on too. On a recent outing, I stopped by a favorite local, independent, thrift shop. I could hang out in the book section of this Tempe thrift shop called Gracie’s, forever. I can never figure out how they always have so many vintage books and magazines. It is incredible. 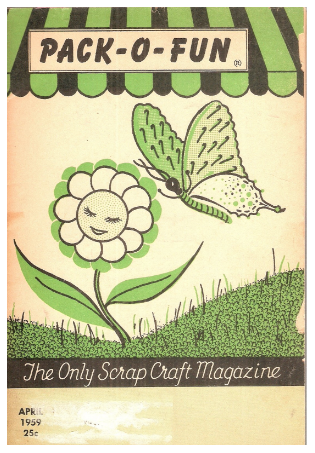 On this recent trip, I found a pile of craft magazines called Pack-O-Fun “The Only Scrap-Craft Magazine” The whole collection is from the 1950’s. The paper is aged, foxing and is brittle but oh the treats I found inside! I am going to have to share my favorite interior pages in a series because there are so many! 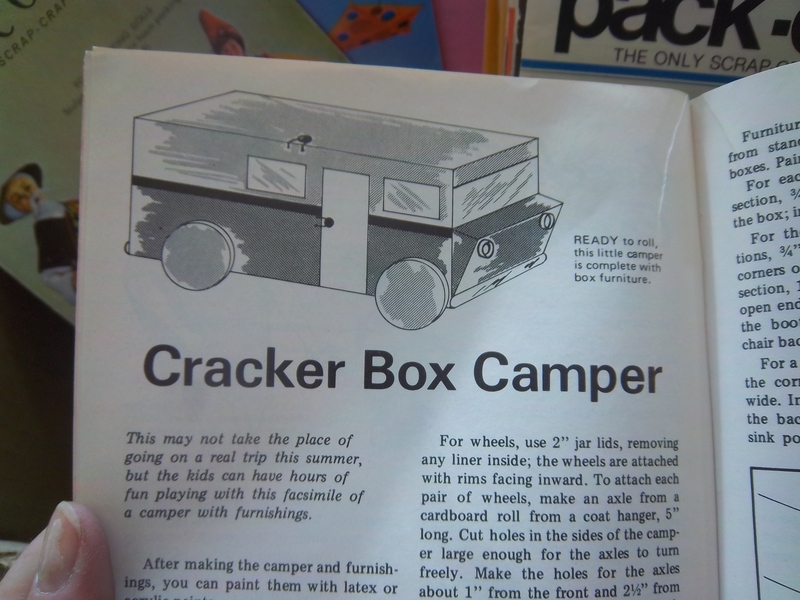 I will kick it off with this cardboard camper gem. I love the illustration as much as the project.